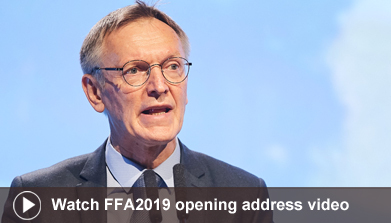 FFA2019: "There is no more time to waste"
Janez Potočnik speaking at FFA2019 said: "There is no more time to waste. It is often said that tomorrow belongs to the next generation. Unfortunately, we have made the world in which the tomorrow is already predetermined by us – for all of them, around the world. Make no mistake, the next generation is already out there. There are hundreds of millions of them, and the vast majority lives in the developing world. 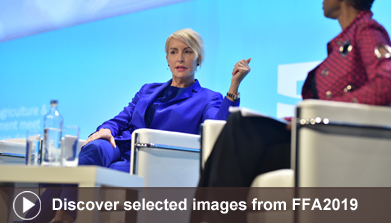 They have as much right as anyone in this room to a sustainable, just, and happy life." 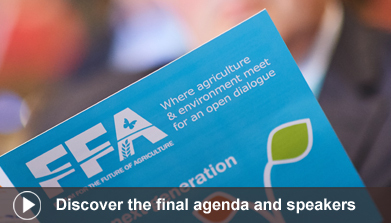 Since 2008, the Forum for the Future of Agriculture (FFA) has contributed to the debate on agriculture and the environment. 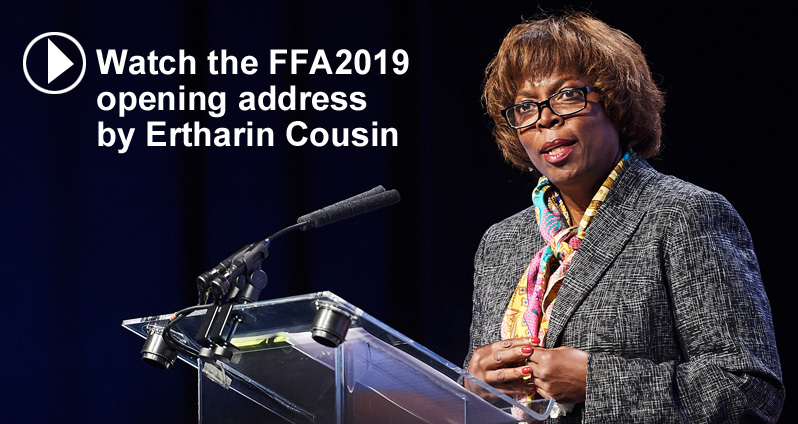 FFA2019: The next generation again provided an open and inclusive setting to discuss the role of farmers, government, industry and citizens in ensuring that future farming models protect the environment and produce nutritious food that supports healthy lifestyles. 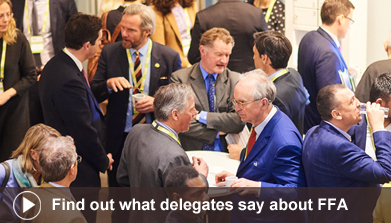 Watch all the sessions and hear more from the speakers in our exclusive interviews.